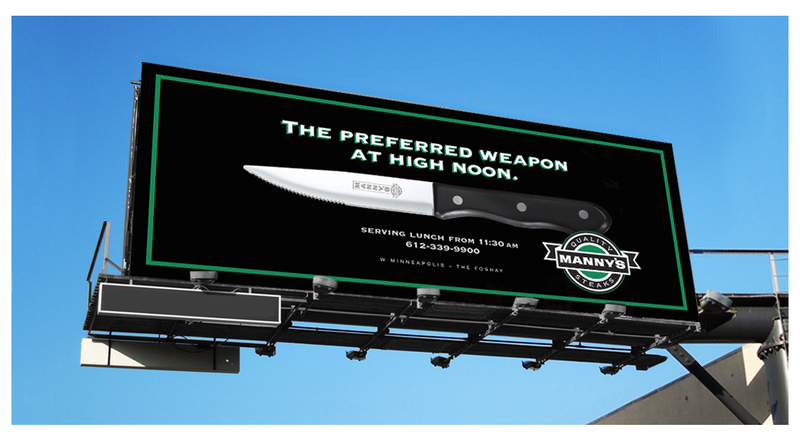 Movers, shakers and deal-makers have elevated Manny’s to the very top of the food chain, but the power of this iconic steakhouse’s brand lies in the way it lets everyone else know that they’re welcome, too. Real men don’t like fussy, frilly logos. 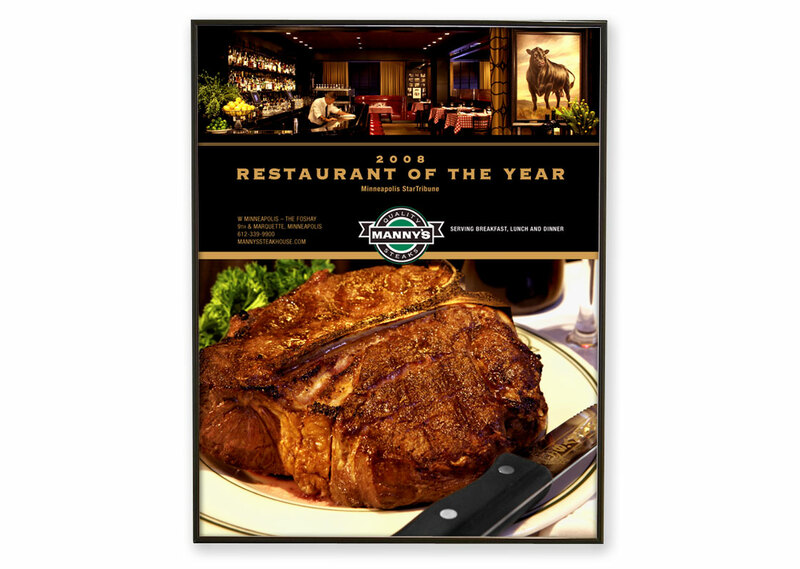 Menus are in the tradition of the classic New York-style steakhouse. Once a dinner-only restaurant, Manny’s began serving lunch and breakfast when it moved to the W Minneapolis – The Foshay hotel in 2008. 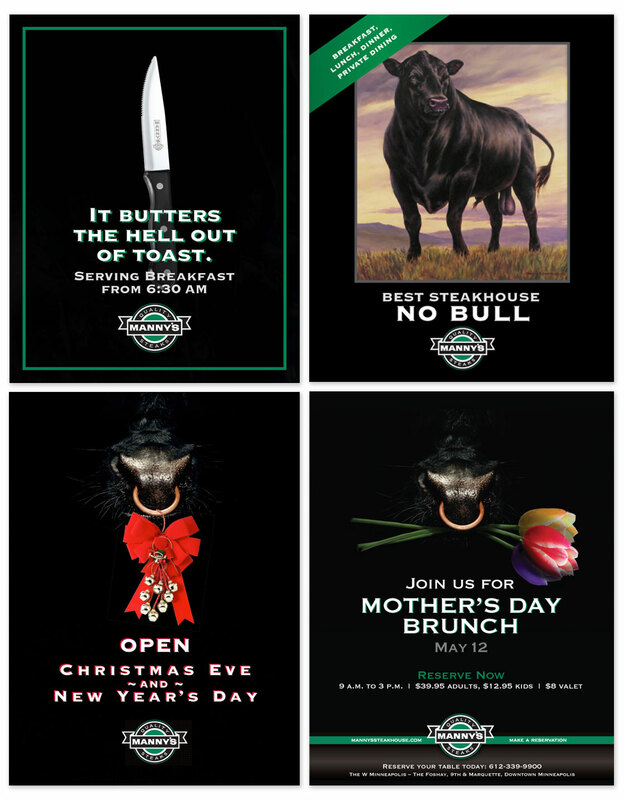 Print ads also doubled as guest check inserts, postcards and posters that were displayed on easels in the Manny’s foyer. Another print ad, this one featuring a glimpse of the restaurant’s interior at its then new location in the Foshay Tower. 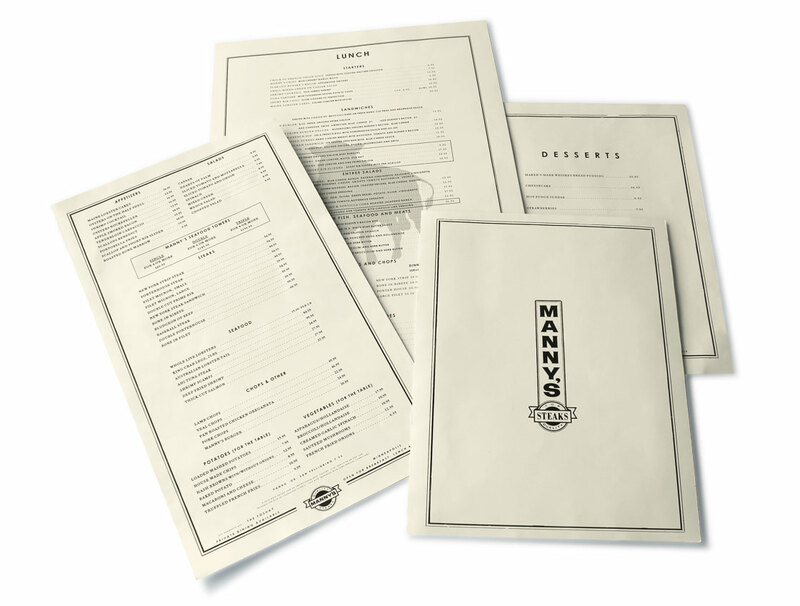 Manny’s feature-rich desktop site included information on private dining, the restaurant’s bar, and the hotel’s other lounges (also operated by Parasole Restaurant Holdings). In addition, the site included an interactive feature in which a server took viewers through the tableside display of meats on Manny’s famed meat cart. Manny’s mobile site cuts right to the chase.